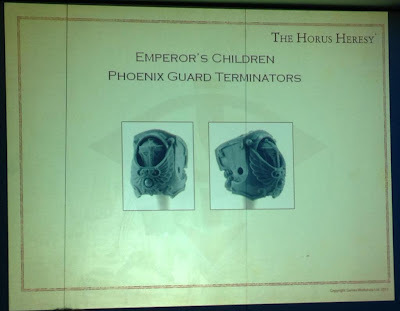 Last weekend Games Workshop held the second Horus Heresy event where attendees were able to attend seminars given by Forgeworld and Black Library. Obviously the focus was 30k and what we can expect. Obviously I would have loved to attend but had to make do with the tweets that came from those lucky enough to be there. Chief among these were "After Ulanor" presenter Greg Dann and "Bad Dice Podcast" HH correspondent Marcus Pitt. They provide dozens of updates and pictures from the event. One of the key things that came out is that the Forgeworld books will be released as trilogies. We have Book 1: Betrayal (deals with Istvaan III) but we can expect two further books on this part of the Heresy. The next book is Massacre and deals with the events of the Drop Site Massacre on Istvaan V. In the book four Legions will be covered - Night Lords and Word Bearers for Horus and Iron Hands and Salamanders for the False Emperor. 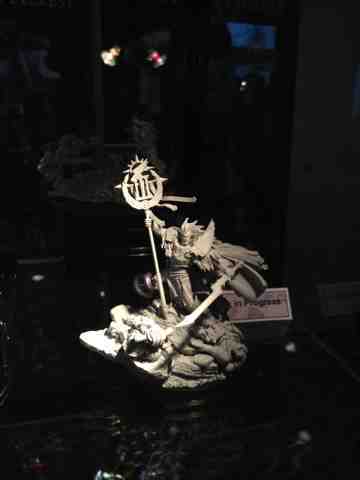 Also we will see some add-ons to the four Legions already covered in Betrayal. 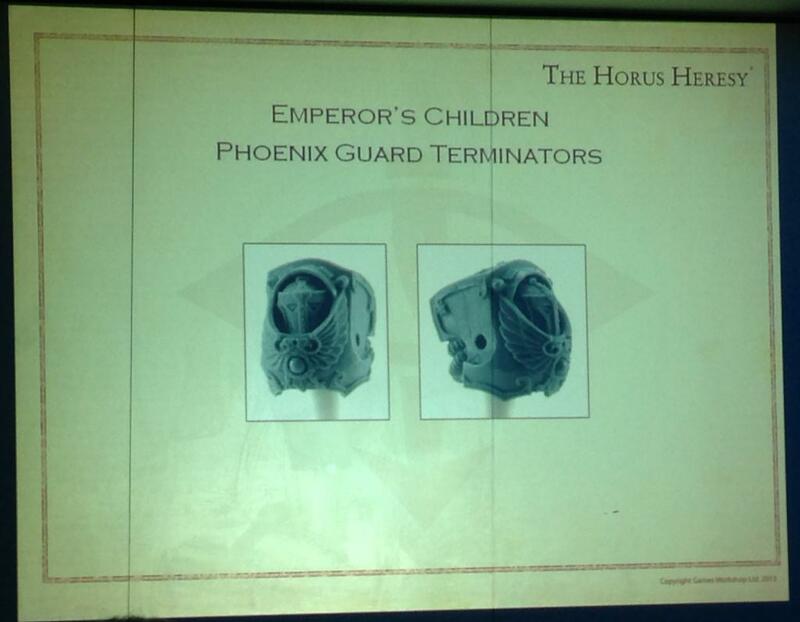 I'm most excited about the new Emperor's Children units and these guys snapped some pictures of the models. 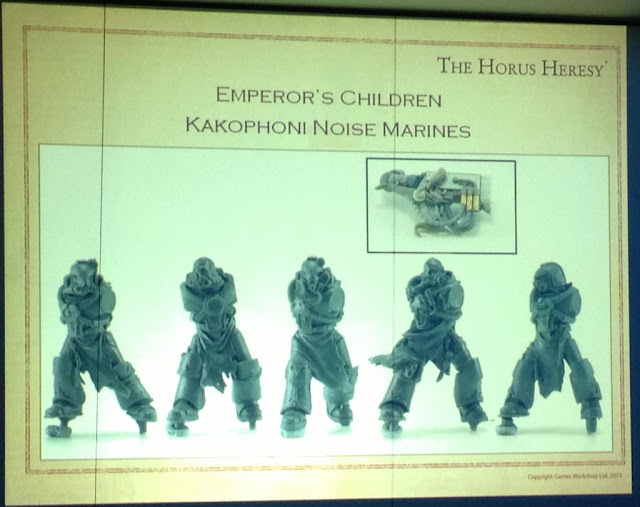 The Noise Marines are the ones I've been waiting for and it is an absolute given that I will be doing Emperor's Children in conjunction with my Death Guard. I hope Forgeworld have plenty of resin as these puppies are going to sell by the bucketful (and not just to me). The third book in this trilogy will deal with the afternath of the Massacre and feature the craven Raven Guard as they cowardly retreat to the hills, Iron Warriors and Alpha Legion. Obviously there are also Primarchs to be released and the one I am most excited by is the alternative Phoenician model that has emerged. How does one summoned the gumption to paint a model that has to be "Perfection Personified"? I don't know why you keep calling him the 'false' Emperor. He's been the big cheese of the Imperium for over 10,000 years now. That's a pretty long time as an Emperor, long enough to be considered the real deal.... It's not like any of the Chaos gods have been able to step up and take the job off him. Now the 'doofus' Emperor, or the 'room-temperature IQ who doesn't know sod-all about picking staff' Emperor I can understand. Will you settle for "Corpse-god"
That works. Though he's a pretty kick-arse corpse if he can keep Nurgle, Khorne, Slaanesh, Tzeentch, Mork, Gork, Asuryan and any other random deities in check for over 10 millenia.